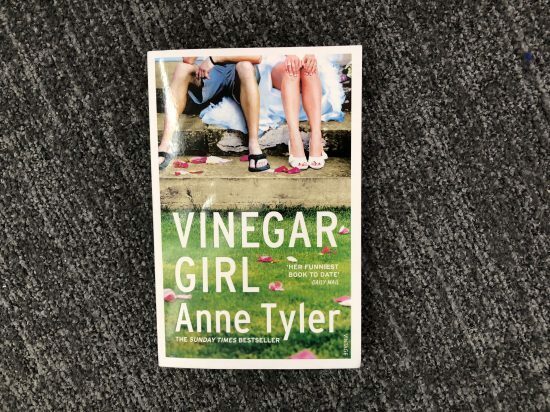 Our Fiction Editor, Shirley, reviews Anne Tyler’s Vinegar Girl. Anne Tyler could rewrite a bus timetable and make it mesmerising. She’s that kind of writer. So imagine this skill applied to retelling a Shakepeare drama. Vinegar Girl is just that – Tyler’s retelling of The Taming Of The Shrew. 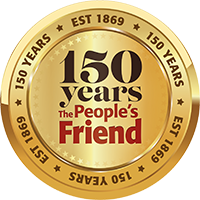 It was part of the commemorative year-long programme to mark the 400th anniversary of Shakespeare’s death. Acclaimed authors writing further titles in the series included Jeanette Winterson with The Winter’s Tale, Tracy Chevalier’s Othello, Gillian Flynn’s Hamlet and Jo Nesbo’s Macbeth. It’s such an intriguing idea, but does it work? Confession time: I don’t routinely read much Shakespeare. My experience is limited to what I studied at school and Open University. I’ve been to the theatre to see a couple of his plays. Seen “Ken and Em” in Much Ado About Nothing. Done the tourist trail in Stratford. And that’s about it. So I can’t say how it compares. What I can say is that I understood every word, and “got” the story. I loved this version of Kate – “the shrew”, reinvented here as an awkward young woman running the household for her absent-minded research scientist father and infuriating young sister. She has a job as a teaching assistant but is hopeless at it. No boyfriend. Dad has a cunning plan to remedy that, though, involving his young lab assistant Pyotr whose work visa just happens to be nearing its end. You can guess the rest, but that’s the magical quality of Tyler’s writing: that you know how the story will go and yet anticipate it with glee because she’ll make it so enjoyable. This is poignant and funny. I giggled at the logic of the family’s weekly “menu”, designed by Dad, and its occasional subsequent descriptions. I cringed at Dad’s awkwardness and, for a different reasons, Kate’s spikiness. Pyotr’s just plain sweet. And I haven’t even got on to Aunt Thelma. I have People’s Friend writer Kate Blackadder to thank for this. We were talking about it one day at one of the writing workshops, then when she was in Dundee in September for our last one, she found it in a charity shop on her way down to the bus station. She kindly sent it up to me once she’d finished with it, “returning it to Dundee”, as she said. Thanks, Kate – I loved it as much as you said I would. You can read Kate’s own review of it on her website. Did you catch our Writer of the Week article? Click here to read more about Louise McIvor.